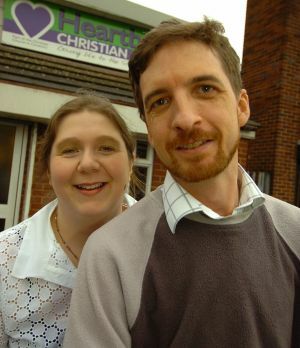 FMIN Partner John Blackburn has joined forces with other Christians in his community of Coventry England to start a new Christian FM radio station, Radio Plus. They plan to be on the air by Christmas 2010. John tells us, "Radio Plus is offering an opportunity for new local voices to be heard and interesting stories to be told. It's a radio station that will be passionate about Coventry, with a desire to see it prosper in every way. It will be a ratio station by the people, for the people of Coventry." Am very happy for such good new,may the Lord bring prosperity in this ministry. We are together in prayers. Happy to hear of your vision of putting up a radio station. We have such a desire here in the rural parts of Western Kenya. Pray for us that God may make our dream to come true even as we pray for your success by this year. God bless you in all you do.